You can use ordinary non-athletic earbuds for exercising. But unless you get the perfect fit, it’s horribly easy for earbuds to start working their way out of your ears while you’re active. Maybe they pop out almost straightaway. Maybe they’ll stay in for ten minutes. But they will gradually work their way out. Working your way around that problem can be difficult, especially if you plan on wearing your headphones for more than an hour or two. Because once you hit that two-hour mark, the importance of having the right pair of headphones can really start to kick in. When it comes to athletic headphones, you may have notice that more and more pairs are being constructed with in-ear hooks or over-ear hooks. Basically, a little something extra to help keep your headphones right where they’re supposed to be. That broader trend also includes the Origem HS-3 Bluetooth Headphones, which were created with distinctive metallic ear hooks. Their metallic nature actually helps them rotate, which does a number of things for your positional options while wearing these earbuds. And it contributes to how the Origem HS-3 Bluetooth Headphones have such a uniquely distinctive construction. Given how cool these earbuds look, you might think that style would is the only thing they have to offer. But you’d be wrong. From their calling features to their audio quality, there are plenty of things to like about the HS-3. But like any pair of headphones, these are not perfect. 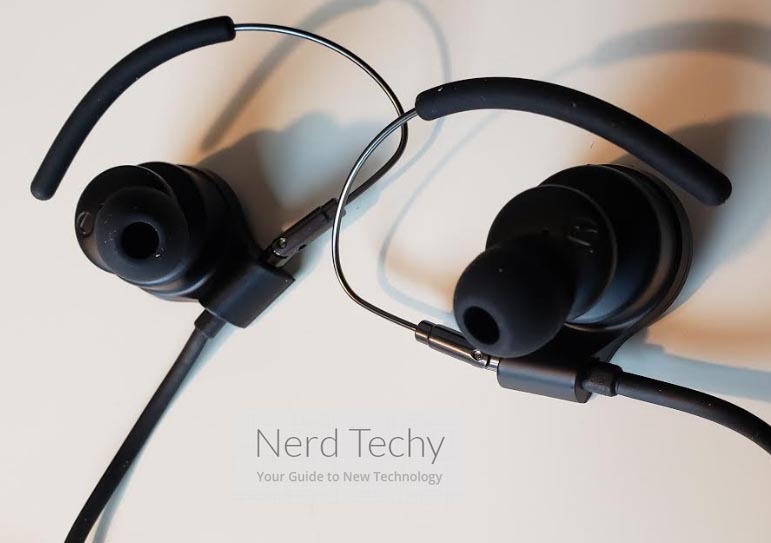 Though battery lifespan doesn’t tend to be a high priority for people who are selecting athletic headphones, those who do prioritize battery capacity will probably have a few issues with the HS-3. There is no question that these headphones fill a necessary niche for some people. From a style perspective, it’s worth noting the HS-3 is available in three types: red, silver, and gunmetal. 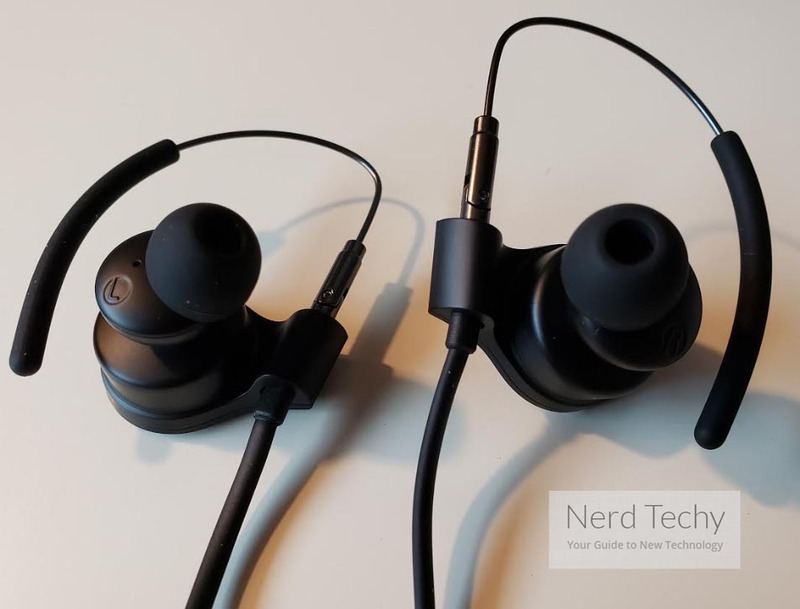 The gunmetal is basically just a fancy name for black, though the slightly polished sheen of the metal build does add to an overall better looking pair of headphones. The silver isn’t truly silver; it’s more like black with silver highlights. And the red is a beautiful blend of crimson red and black undertones, which stands out far more than the other pairs. The IPX5 waterproof certification isn’t going to protect these earbuds against submersion. 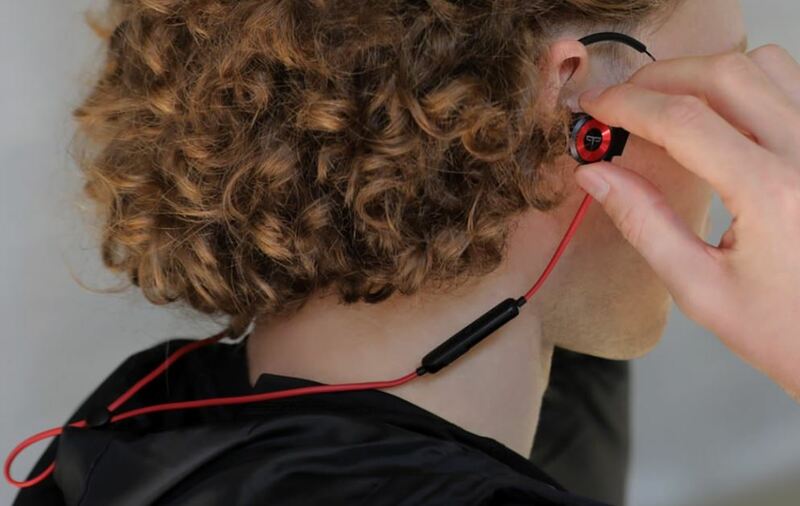 But the Origem HS-3 Bluetooth Headphones are adequately protected against sweat and rain. That’s because this waterproofing isn’t actually a physical barrier against the ingress of water. It’s merely a hydrophobic spray, which they refer to as a nano-coating. It’s impressive at defending these earbuds from smaller drops of water, but not much more. There are several things that contribute to audio presentation in a pair of headphones like the HS-3. Sound isolation can be a big factor, especially if you’re in a noisy environment and you don’t want to use higher levels of volume to drown everything out. If you do want to use higher levels of volume to drown everything out, you’ll be pleased to find the 3.7V battery used by these headphones can put out a lot of volume. If you don’t want to use higher levels of volume, you’ll find you don’t have many other options. These headphones weren’t constructed to provide especially high levels of noise isolation. Which means in order to get the best audio experiences, you either need to be in environments that aren’t much louder than a busy office, or you need to be willing to raise your volume up high. Apart from sound isolation, there are several other things that sort of indirectly contribute to the overall audio experience. Things like the inclusion of a high-end CSR8675 chip with DSP audio algorithm. 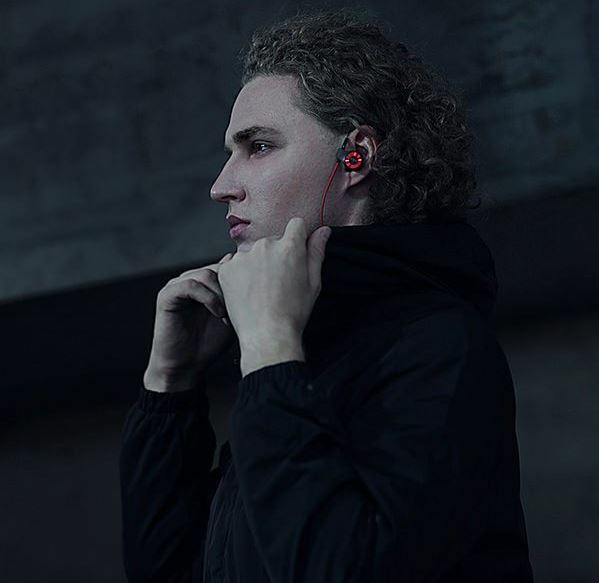 That helps the earbuds to detect the sound pressure of a particular listening environment, and then adjust the volume to adapt to different frequency levels. The result keeps all the tonal range steady as you raise or decrease volume. A great feature to have. Even with all of those things aside, from a hardware perspective, the HS-3 has some merits. 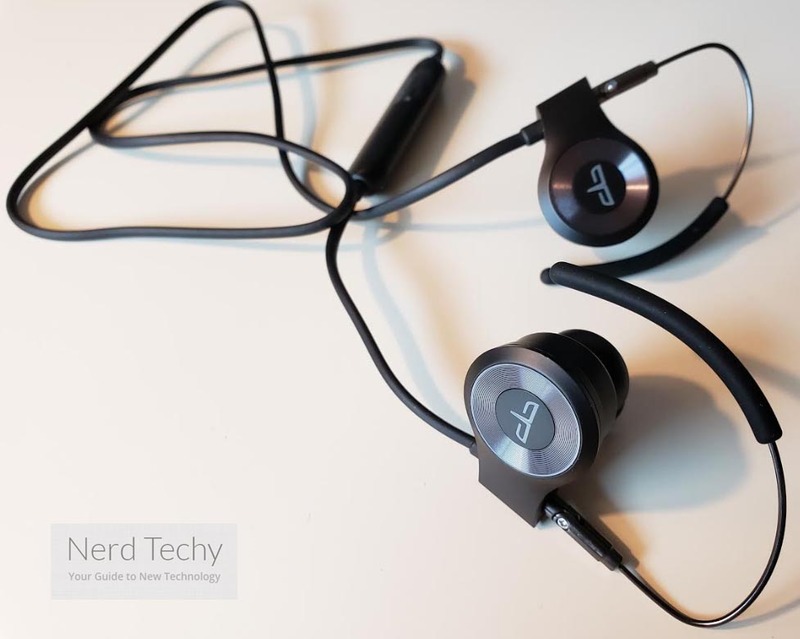 They were constructed around 10mm graphene drivers, which are considerably larger than the tiny 6mm drivers so many similar earbuds end up using. Though the difference doesn’t seem like it would be night and day, it really does come across in clarity. The HS-3 has a pretty well-defined bass section, and an especially clear treble range. These headphones were made to present human voices in an especially strong light. But they might be used equally well for virtually any genre of music, provided you’re not someone who prefers their bass to be bloated in the extreme. If you are that person, you can give a little extra boost to the bass with an equalizer as needed. For the most part, the included microphone isn’t anything unusual. Sure, it’s a solid microphone, it just isn’t backed by any special technologies to really help it excel in tough listening environments. If you’re trying to call someone at an airport terminal with a thousand people buzzing around you, then you’re not going to be amazed with the kind of call clarity you end up getting. 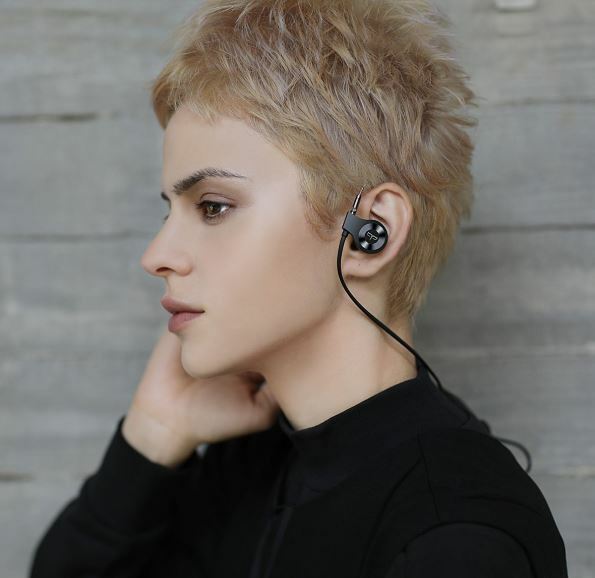 But the microphone does happen to be loaded with a number of smart-listening features because the HS-3 Bluetooth Headphones are built with true voice recondition technology. That lets you access a variety of controls without having to touch a single button. Including everything you need to play or pause music, accept or reject calls, sip between songs, or otherwise activate your preferred phone assistant. For someone who makes a lot of use out of their voice assistant features, native support is definitely worth noticing. Because being able to skip one step in activating a feature isn’t much of an advantage, at least not until you’re using that feature on a regular basis. 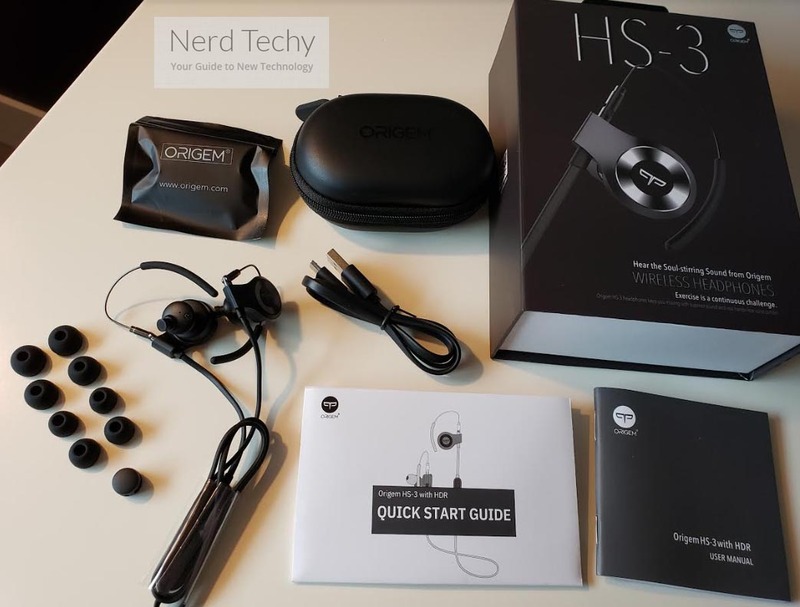 As their name suggests, the Origem HS-3 Bluetooth Headphones connect with the aid of Bluetooth 5. That provides a variety of advantages out of the gate, mostly pertaining to sync and signal strength. 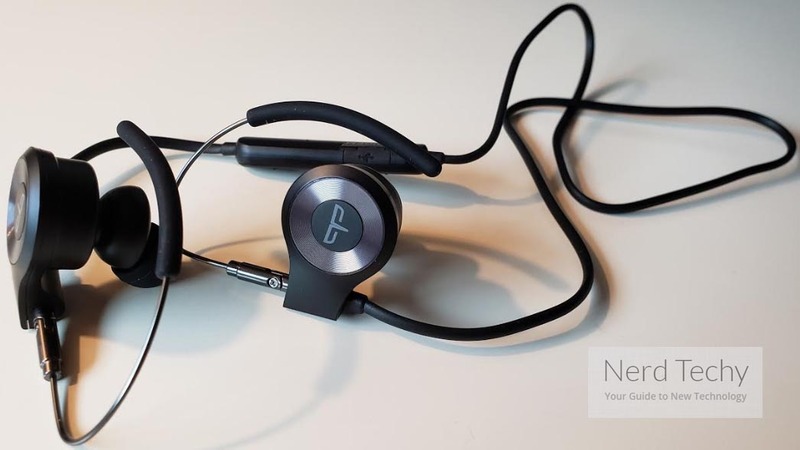 But as mentioned earlier, you’ll find these headphones are built with a high end CSR8675 chip that’s capable of delivering DSP audio algorithm support. You could think of this as Bluetooth Plus instead of regular Bluetooth. That chip is also essential to the smooth implementation of their true voice recognition software, which is what allows you to initiate features without having to ever hit a button. You don’t even need to use some kind of wake-up word, just start talking and your command will be done. 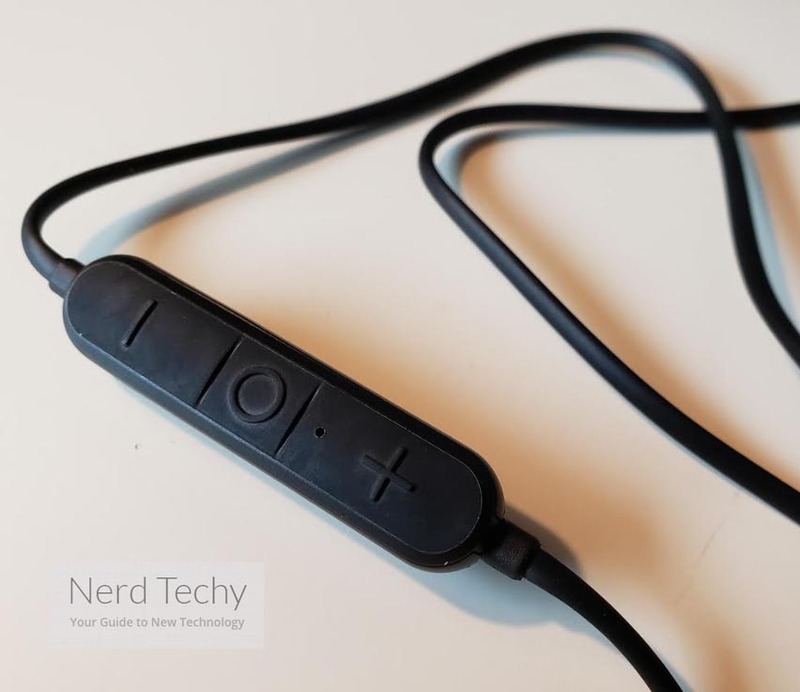 So the voice control system can be quite useful for playing or pausing music, taking or rejecting calls, skipping between tracks, and so forth. Here you’ll find one place where these headphones do not shine. The total battery capacity is actually only about four hours. A bit closer to five if you’re using modest volume levels and taking calls fairly often. Sure, that ought to be enough time for someone to finish their workout or outdoor excursion. But it’s low-average when compared to many other similar pairs of headphones. Why is the battery performance a little underwhelming? Much of it has to do with the smart microphone. Since it’s always listening, it’s always chewing through a little bit of battery power. 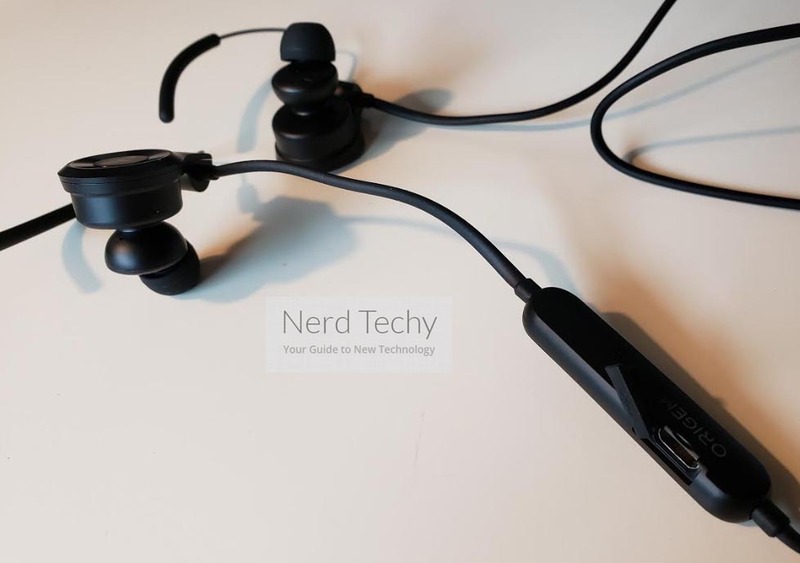 Again, that means if you don’t actually need to take advantage of the smart microphone feature, then this headset might be a little mismatched for your needs. Apart from their total capacity, it’s worth noting the Origem HS-3 was constructed with a quick charge feature. In fact, they can recharge about four times as quickly as headphones without similar features. A full charge takes as four 40 minutes, and 10 minutes of charge will give you around two hours of playtime. The ear hook design was made to fit any variety of shapes and sizes for ears, or nearly any variety. As such, they bend in a full 70-degree range in both directions. That rotation allows them to adjust to a lot of different head shapes and sizes. In terms of their raw construction, the ear hooks are constructed from nickel titanium alloy, which basically means you don’t need to worry about them being destroyed, damaged, or deformed with use. Four sets of ear tips are included, all constructed with high quality silicone. After you’ve got a pair to fit properly, their sound isolation is reasonably good. Having the ability to move between four different sets provides a lot of options to ensure you end up with that kind of isolation. That also means you’ll generally be able to get a more stable experience while using these headphones in motion. The HS-3 includes four pairs of ear tips, a cable management clip, carrying case, micro USB charging cable, and an 18-month warranty. A pretty all-inclusive kit. Though the carrying case isn’t a charging case, that’s something that would be easy to fix with the addition of a portable battery bank. Who Should Choose Origem HS-3 Bluetooth Headphones? The Origem HS-3 were not really made for sitting around at home while watching movies. They weren’t really made for taking on a plane. Sure, you could use them in those circumstances, but that’s not where they’ll really shine. 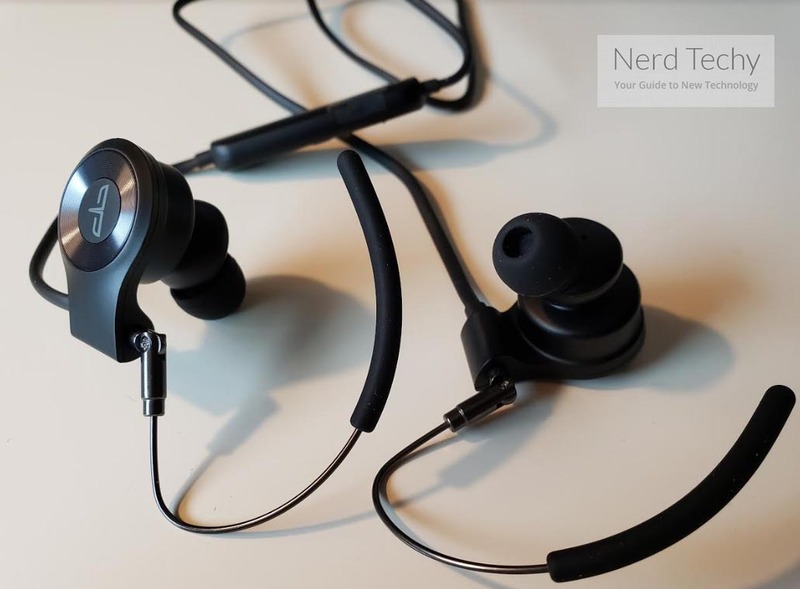 These headphones are athletic earbuds that are made for people who want to take advantage of voice assistant features, or people who want to take a lot of calls. Beyond that, you’ll find much of their design is about providing the wearer with a secure fit. The fact they actually sound pretty good almost comes second to the fact they’re able to stick to your body so well. But they do sound reasonably good for earbuds in this price range, especially if you’re someone who values clarity. Ultimately, what defines these earbuds is that they go above and beyond with it comes to voice support. You can control the buds entirely with your voice, which is a level of control that’s tough to beat. The only place where the HS-3 really deserves criticism is in its battery lifespan. But since its lifespan is long enough for athletic activities, it’s hard to be too critical of them in that capacity.